Super Testimonial Pro is an easy to use WordPress Plugin that allows users to add testimonial to the sidebar, as a widget, or to embed testimonial into a Page or Post using the shortcode. Super Testimonial Pro is an easy to use WordPress plugin that allows users to add testimonial to the sidebar, widget or to embed testimonial into a Page or Post using a generated shortcode. Super Testimonial Pro provides a great and easy way to insert a list of all testimonials or output a random testimonial. It also allows you to include an image with each testimonial – this is a great feature for adding a photo of the testimonial author. Super Testimonial Pro is fully responsive for all devices. Testimonial order_by (Publish date, Order, Random). Show all testimonials via a shortcode. Whenever an update is available the user will be notified via WordPress Dashboard same as WordPress because We enabled self-hosted auto update for the lifetime. Super Testimonial pro plugin very easy to use. 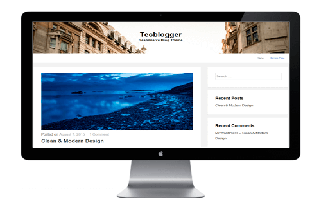 Super Testimonial Pro plugin fully Responsive for all device. It also has a touch-swipe feature enabled.